Corporate Social Responsibility (Social Responsibility) is a process which aims to embrace responsibility for your organization's actions which encourages a positive impact on the environment, consumers, employees, communities and all of your stakeholders. Developing a successful strategy for Corporate Social Responsibility has become essential for business and organisational success in the 21st Century. This workshop will enable you to acquire the knowledge and skills to develop and implement an integrated CSR strategy that drives your business's performance and creates value for you and all of your stakeholders. This workshop is tailor made for all PR, communications, CSR and sustainability professionals looking to implement a world class CSR programme and successfully create CSR reporting with the GRI-G4 system. Registration will be at 8.00 on Day One. Both workshop days will commence at 08:30 and conclude at 14:30 with lunch. Refreshments will be served at appropriate intervals. The world spotlight is on businesses' corporate responsibility and accountability. Progressive business leaders are embracing the principles of corporate responsibility and sustainability, and taking steps to embed them throughout their organisations. This comprehensive workshop will formalise firm foundations to build your CSR function and strategy on to meet your business's objectives. It will then share the detailed steps in executing an integrated CSR strategy that drives sustainability and links your programmes to the core business operations. GROUP EXERCISES: - Our Greatest Imaginable Social Responsibility Challenges - What is Social Responsibility for us? - What are we doing now? - What do we need to do in future? - Mapping and Understanding Our Stakeholders - Who are our Stakeholders? - What are their main concerns? - How can we prioritise and focus on their needs? The Global Reporting Initiative (GRI-G4) is the best practice standard for CSR reporting. It aims to make non-financial reporting as straight-forward and comparable as normal financial accounts. - What do you report and how do you report it? - How do you write a basic CSR report? - Stakeholder Analysis - Who are you addressing and what are their concerns? - Materiality - What does it mean and how do we assess it? - What is Social Responsibility for us? - What are we doing now? - What do we need to do in future? - Who are our Stakeholders? - What are their main concerns? - How can we prioritise and focus on their needs? 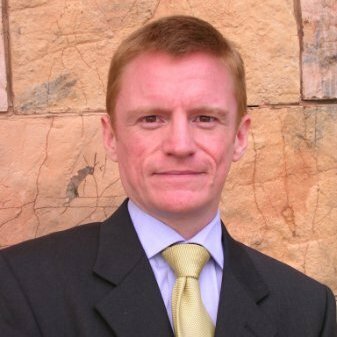 Professor Dr Geoffrey Williams is a well-known international Corporate Responsibility leader with over a decade of experience of advisory, training and thought leadership in the field. His company Williams Business Consultancy Sdn Bhd is the local partner for the EU-funded Sustainable Consumption and Production (SCP) project at the EPU in the Prime Ministerâ€™s Office. He was a member of the Judging Panel for the Prime Ministerâ€™s Social Responsibility Awards 2010, Malaysia and Enterprise Asia AREA Award 2010-11 and the Global Social Responsibility Summit Award 2009-2014. He designed and manages the research programme for SRI-Kehati Social Responsibility Index for the Indonesian Stock Exchange. Geoffreyâ€™s most recent work has focussed on Corporate Social Responsibility in a global context and in particular, on the factors that determine the success of Social Responsibility initiatives in different socio-political contexts. He has worked with leading international companies and organisations including PETRONAS, Maybank Berhad, Sime Darby Berhad, Telekom Malaysia Berhad, PT Unilever Indonesia, NTUC FairPrice â€“ Singapore, UEM Group Berhad, UEM Land Berhad, Tesco (Malaysia) Sdn Bhd, PLUS Expressways Berhad, UMW Holdings Berhad, MRCB, Resorts World Berhad, DRB-HiCom Berhad, Media Prima Berhad, du â€“ the Emirates Integrated Telecommunications Company, the Emirates Foundation, the Abu Dhabi Chamber of Commerce and Industry, the Arab Thought Foundation, the International Labour Organisation, the EU Commission and others. His work has been published in leading academic journals and his edited volume Responsible Management in Asia â€“ Perspectives on Social Responsibility was published by Palgrave-Macmillan in 2011. Further information can be found at his listing at the Social Sciences Research Network (SSRN) where he is ranked in the top 3% of Social Science authors in the World. His research output has had direct impact in the business world and has been covered in the media including the Financial Times, the New York Times, the Wall Street Journal, Bloomberg and CNBC.